Imagine that a man comes to the highest office in the land with absolutely no political experience. As a young man, he had arrived in the big city to make his fortune and became one of the richest and most famous men in America by making big deals and taking great risks. Some schemes worked out and others did not. Not long before reaching his lofty office, he undergoes a political and spiritual conversion that makes many suspicious and leads them to question his dedication to the cause. When he assumes office, the trouble begins. He is an unconventional communicator, known for his coarse language and short temper. He does not play by the rules, and his legal problems—including charges of corruption and conflict of interest—soon surface. Even worse, he shows irrational support for America’s mortal enemies. His actions make people nervous, and amid the most destructive weather in memory, cries of “witch-hunt” come to the fore. Such were the circumstances for Sir William Phips (1651-1695), governor of Massachusetts during the Salem witch-hunt. After several failures, Phips became wealthy and famous by salvaging a wrecked Spanish treasure galleon in the Caribbean. The first American to be knighted by the king of England, he remained a rough-and-tumble sailor, who only joined Increase Mather’s church when he began to seek high office. With Mather’s assistance, Phips became governor, arriving in Boston from England in May 1692, with the witch-hunt well under way and the colony losing a war with the French and their Native American allies. Portrait of William Phips, governor of Massachusetts, 1692 to 1694 by the US National Archives and Records Administration. Public domain via Wikimedia Commons. Two years earlier Phips had led a naval expedition that captured Port Royal in Acadia, and administered an oath of loyalty to the French residents. So, when Acadian merchants visited Boston, Governor Phips welcomed them, while others wanted them locked up (we now know they were spies, planning an invasion of Boston). As if the war was not bad enough, Massachusetts was suffering from the worst weather of the Little Ice Age. It led to crop failure, starvation, and inflation. We now understand that witch-hunts usually occur during bad weather in lands suffering from weak, uncertain government. When people are experiencing hard times and feel threatened—often from climate issues and warfare—they look to their government for help. Lacking reassurance, they seek scapegoats, and witch-hunts begin. As an expert on the Salem witch trials, I am not surprised by cries of “witch-hunt” these days. I am struck by the many parallels between 1692 and today, and believe Phips’s fate may provide insights into how the current American political drama might play out. Sir William would end the trials only after his wife was accused of witchcraft. By this time it was too late, for 25 innocents were dead and over one hundred more had suffered in wretched jails. 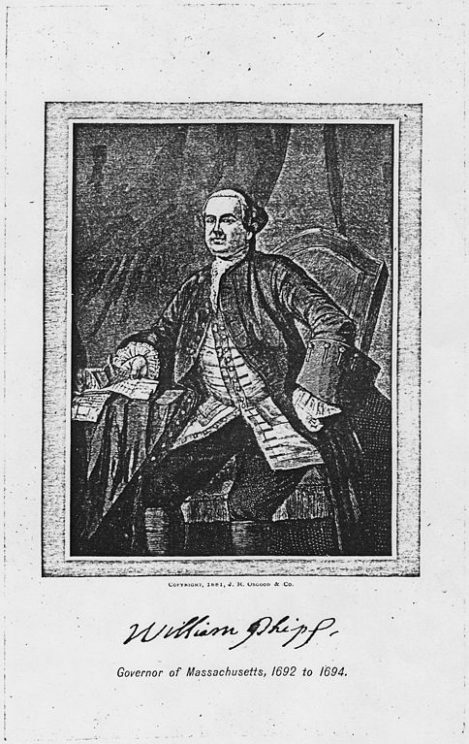 The silver lining was the acquittal of witch-hunt critic Thomas Maule on charges of seditious libel—a landmark precedent for First Amendment rights. America’s instinctive distrust in government may also have its roots in the government’s massive failure to protect innocent lives during the witch-hunt. Incumbents rarely lost races in the Massachusetts legislature but over half of the members of the House of Deputies and over a third of the members of the Governor’s Council lost their seats in the elections held in the wake of the witch trials. Phips’s enemies grew in number and power in the increasingly factionalized legislature. A barely literate ship’s captain who demanded the unquestioned obedience of his crew, Phips lacked the temperament or skills needed to navigate the stormy seas of Massachusetts politics. His adversaries soon began alleging high crimes against the governor, stemming from his involvement in illegal and self-serving commercial activities. The crown recalled him in 1694, but he died in London of a heavy cold before he could defend himself against the charges. Ill-suited for politics and obsessed with advancement and enrichment, Sir William’s life is a cautionary tale for our turbulent time. Featured image credit: Witchcraft at Salem Village by William A. Crafts. Public Domain via Wikimedia Commons. 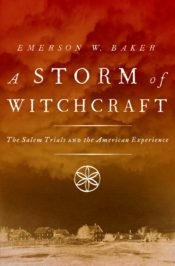 Emerson W. Baker is an historian and dean of graduate and professional studies at Salem State University and author of A Storm of Witchcraft: The Salem Trials and the American Experience. The desire for political punditry (of whatever stripe) should be resisted. Witch hunts occurred also in Europe and, in fact, throughout history.